This year, over half of all the rescues manatees, who were upgraded from endangered to threatened last year, have been performed by SeaWorld Orlando. 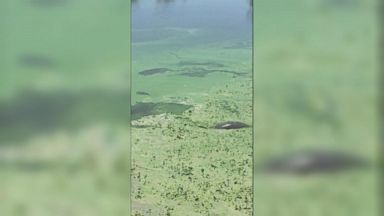 Manatees swam around in a blue-green algae covered river in Port Mayaca, Florida. 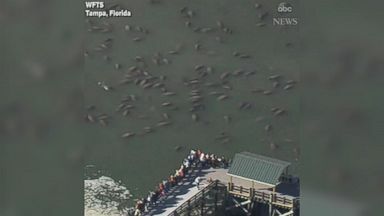 Aerial footage shows manatees appearing to huddle for warmth as a blast of winter weather drives temperatures to near-freezing in parts of Florida.